In 2010 Wind turbine energy accounted for 2% of total U.S. electricity generation. Further, nearly all of the components to build a wind turbine are produced off shore and imported adding to our Trade Deficit. Wind turbine energy is a small fraction of the Nation's total electricity production, it had a market share of the annual electricity use of about 8.7 million households. The collapse of Solyndra, a solar panel maker, the corporation in large financed of more than $500 million in stimulus dollars should give all Americans pause and concern for altruistic 'Green Energy' Programs. A lengthy article regarding the impact of 'solar farms in the Mohave desert explains the big green debate about building a solar farm in the fragile and unique ecosystem. Little is known about either the environmental impact of both technologies lag and both are not practical for mass electrical generation production. Both wind turbines and solar farms also share an unproven return on investment for capital expenditure. Stubbornly President Obama and his administration continue to defend Solyndra and green energy . "President Barack Obama is standing by his support for renewable energy after Solyndra Inc., a maker of solar panels that received a $535 million U.S. shut its doors, a White House spokesman said." From the same article, "Solyndra suspended operations and plans to file for bankruptcy reorganization because it couldn’t compete with larger rivals, the closely held company said in a statement yesterday. SpectraWatt Inc., a solar company backed by units of Intel Corp. (INTC) and Goldman Sachs Group Inc. (GS), filed for bankruptcy protection Aug. 19, and Evergreen Solar Inc. (ESLR) did so Aug. 15". Could the $535 million dollar Solyndra boondoggle, be the Obama Administration's Tea Pot Dome or Enron scandal Kaiser head of Solyndra was a donation bundler for the Obama campaign? The first Oil embargo was in 1973. In 1973, the average price of a gallon of gasoline was $.39 (cents) a gallon. In the following 38 years one would think that at some point our leadership in Washington DC would have developed a rational and sound National Energy Policy. Not having a sound Energy Policy is a threat to not only our nation's economic well being but also our national security. Shockingly since 1973 one Administration after another has acted as if the United States is without natural resources, when the reverse is true. The Environmental Movement has made matters even worse. Pressure from envirofascist drives the policies written by bureaucrats at the Environmental Protection Agency, Department of Interior and the Department of Energy. For nearly four decades sound energy policy has been throttled by the Environmental Movement and since Obama's election it has hit a new stride, with the EPA's recent Environmental Justice Memorandum of Understanding. Every sound energy model in the United States is under hostile attack by envirofascist, the oil industry attacked, the coal industry under threat, so is this nation's nuclear industry, and hydro electric energy are all under duress, and the lack of any development of new electrical infrastructure in these areas are crippling this nation. The Institute for Analysis of Global Security says : "Our dependency on oil from countries that are either politically unstable or at odds with the U.S. subjects the American economy to occasional supply disruptions, price hikes, and loss of wealth, which, according to a study commissioned by the U.S. Department of Energy, have cost us more than $7 trillion present value dollars over the last 30 years. That is more than the cumulative cost of all of the wars fought by the U.S. since the Revolutionary War. The transfer of wealth to oil-producing countries - $1.16 trillion over the past thirty years - significantly increased our trade deficit. The Department of Energy estimates that each $1 billion of trade deficit costs America 27,000 jobs. Oil imports account for almost one-third of the total U.S. deficit and, hence, are a major contributor to unemployment." · Total economic penalties of from $297.2 to $304.9 billion annually. If reflected at the gasoline pump, these “hidden costs” would raise the price of a gallon of gasoline to over $5.28, a fill-up would be over $105. One striking figure was the cost of the periodic oil shocks the U.S. has experienced over the past three decades which NDCF estimates at from over $2.2 Trillion to almost $2.5 Trillion. Prior to completion the study underwent an exhaustive peer review by a panel comprised of seventeen individuals with a broad range of expertise including representatives from government, industry and major environmental organizations. In addition to detailing the costs of America’s import dependence, the NDCF report also outlines the benefits of shifting the U.S. transportation sector to non-petroleum derived fuels." This article from Real Clear Energy, should outrage every American consumer at the lack of a sound policy to drill for and use our own oil and natural gas policies:"But the United States isn’t running out of oil, it’s running out of access. There are many promising sources of crude oil in the U.S., but the vast majority of them are off limits to exploration and production. The exact size of this resource is unknown because companies are not allowed to do the necessary work to find out where the oil is and how much of it there is. Preliminary work by government agencies, however, suggests that the resources could be quite large. The Department of the Interior estimates that the U.S. Outer Continental Shelf (OCS) contains 86 billion barrels of undiscovered, technically recoverable oil resources. However, about 97% of the OCS is not under lease, preventing any exploration or production of oil and gas. 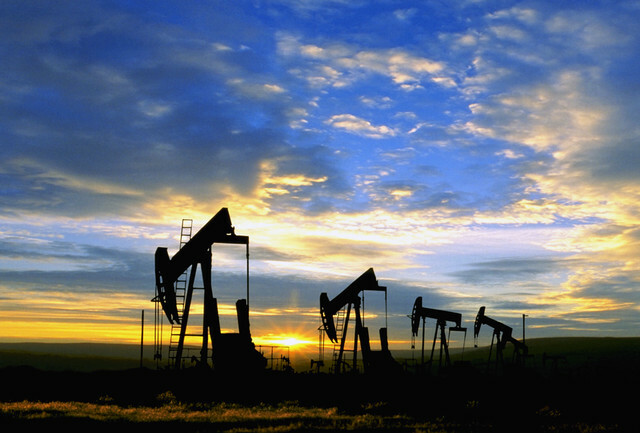 Onshore federal lands contain an estimated 24.2 billion barrels of undiscovered technically recoverable oil resources. But like our offshore resources, the vast majority of these onshore oil resources are unavailable for exploration and production. The United States has massive unconventional crude oil reserves. Government estimates point to U.S. oil shale and oil sands resources exceeding 2 trillion barrels, larger than total proven global reserves of conventional oil. The global supply picture, and U.S. competitiveness for that matter, could improve if even a small fraction of these resources can be tapped economically..."
..."The United States is blessed with vast oil resources, dynamic capital markets, and a culture of innovation that sustains our global leadership. These assets, however, are not being developed or used to their full potential. What are we waiting for?" This link is the has a chart which shows the most recent data for oil imports. Moreover, since 1985, when refinery capacity hit a low of 14.7 million barrels per day, we've seen over three million barrels of capacity added, or the equivalent to 23 average modern day facilities. A stark contrast to the misleading tidbit about having no new refineries built since the 1970's. So while we haven't seen new refineries open in new locations, we have virtually added the capacity of 23 of today's average size facilities—and that is nothing to scoff at..."
No new licenses have been granted to build a new refinery in the United States since 1976. Refineries are hard pushed to keep up with all of the different mixes, and seasonal adjustments, which causes spikes in the price at the pump annually. (I can no longer find the link but I recall reading refineries need to make over 200 different gasoline and diesel mixes for both regional and seasonal clean air requirements.) A rational and reasonable refining choice would be to pick the most stringent 4 or so requirements and use those. Our hydro electric generation is under the same stresses as the oil and gas industry along with the nuclear energy industry. Applications for permits for new facilities are snarled at various licensing agencies, who either fully block or stall or insist on years long environmental impact studies. The EPA has new regulations which have the intended impact of shutting down coal fired electrical production in the United States. However today, under pressure form the 112th Congress Obama has backed of the most recent EJ MOU . Our non existent energy policy is negatively impacting American employment, driving up the cost of doing business and leaving the United States in a very precarious position. You cannot be a strong a 21st Century nation without a sound energy policy. Even with the United States economy in freefall the Obama Administration is considereing more costly crippling regulations and interference in energy production. The United States is in dire economic trouble our deficits are soaring and we stand at the precipice of economic collapse. If now now, when will our elected officials have the resolve to address this nation's pressing energy needs. This morning, it seems our fair-haired President is backing down from some of his new EPA requirements. Maybe Boehner got the message. Melody, you are through... Great research and a beautiful presentation.. When I got my first heating oil delivery after the first oil crises, I called up the dealer and told him his driver must have set the meter wrong.. the stuff went from 16.9 cents a gallon to 36,9 from the end of one season to the beginning of the next.